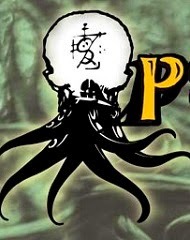 • At Online Pulps! : "The Cat-Snake" by Frances M. Deegan. Horror. 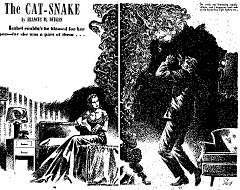 "The cat in Isabel loved to be petted - but the snake in her was poised to strike ..." first published in Fantastic Adventures, April 1948. 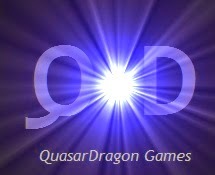 Direct pdf download here. • At Project Gutenberg: "The Fantasy Fan - November 1933" by Charles D. Hornig. Includes "The Other Gods" by H. P. Lovecraft and "A Dream of the Abyss" by Clark Ashton Smith. • At Project Gutenberg: "The Fantasy Fan December 1933" by Charles D. Hornig. Includes "Birkett's Twelfth Corpse" by August W. Derleth and other flash fiction. • At 365 Tomorrows: "The Argument" by Suzanne Borchers. Science Fiction. • At Clarkesworld: "Bonfires in Anacostia" by Joseph Tomaras, read by Kate Baker. 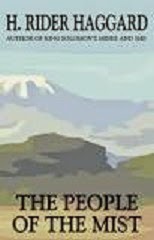 • At Forgotten Classics: "People of the Mist - Chapters 32-33" by H. Rider Haggard. Adventure. "In which Otter must fight and Leonard is tricked." • At Pseudopod: "Prince Of Flowers" by Elizabeth Hand, read by Christiana Ellis. Horror. "As she opened the box, dried flowers, seeds, and wood shavings cascaded into her lap. 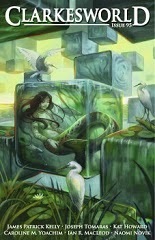 She inhaled, closing her eyes, and imagined blue water and firelight, sweet-smelling seeds exploding in the embers. She sneezed and opened her eyes to a cloud of dust wafting from the crate like smoke. Very carefully she worked her fingers into the fragrant excelsior, kneading the petals gently until she grasped something brittle and solid. She drew this out in a flurry of dead flowers." 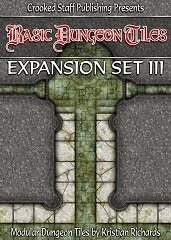 • At DriveThruRPG: "Basic Dungeon Tiles : Expansion Set 3" Pay What You Want. Dungeon tiles are a useful fantasy gaming tool and this "pay what you want" set includes 24 pages of them.